What do you get when you combine environmental education and a resource rescue center? PPC member organization SCARCE, which stands for School & Community Assistance for Recycling and Composting Education, has served this dual purpose since 1990. "We rescue stuff and we teach," says Executive Director and founder, Kay McKeen. "We try to prevent pollution." McKeen founded SCARCE in Glen Ellyn, IL, USA, as an effort to educate people in her community about environmental issues. Inspired by her two grandmothers who "never wasted a thing," McKeen began teaching in local schools about composting and recycling. In the school setting, McKeen observed piles of textbooks sitting in storage on their way to landfill. So in 1991, she started the Book Rescue to give books a second life. McKeen later added Tools for Schools which collects gently used office and school supplies. People who work for schools or nonprofit organizations can visit the SCARCE warehouse and shop for books or supplies for a small donation. Learn more about the Book Rescue. SCARCE also recycles crayons on site as part of their Super Crayon project. 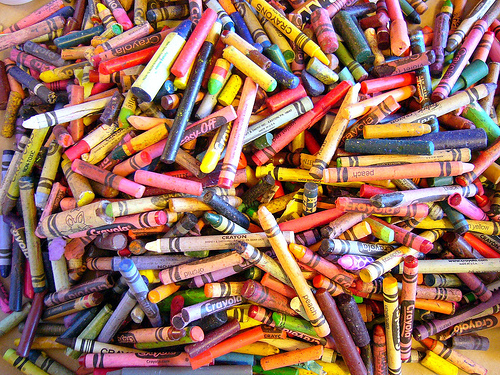 Staff members collect used or broken crayons and volunteers help peel, sort, and melt the crayons. 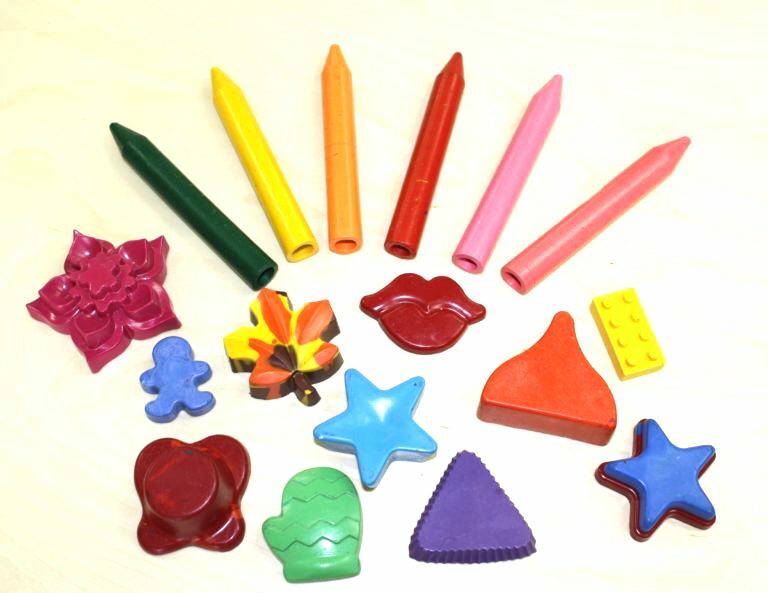 The liquid crayon mixture is poured into molds to form large Super Crayons in a variety of shapes which can be used by children with special needs. In addition to these programs, McKeen and SCARCE staff members still teach in schools and in the community about composting; hold Lunch Room Waste Audits; and offer graduate credit classes for teachers such as "Where is Away" on trash and the problems, concerns, and solutions that surround the “stuff” we make, buy, and send to landfill. As part of their ongoing environmental education, SCARCE starts campaigns such as #PickUp5 to help community members take easy steps toward a cleaner environment. The Pick Up 5 campaign challenges everyone everywhere to pick up five pieces of plastic pollution or "litter" every time they're out on a walk or at the park, or wherever they see plastic pollution, and post a photo on social media. It's all part of the mission McKeen initiated 27 years ago: To inspire people, through education, to preserve and care for our Earth’s natural resources, while working to build sustainable communities. Visit the Plastic Pollution Coalition table at the SCARCE Green Fair on Saturday, Sept. 30 in Wheaton, IL. Get more educational resources and curriculum on plastic pollution. Take the pledge to refuse single-use plastic.